The rent at Sycamore Pines 10025-45 Imperial Hwy Apartments ranges from $1,645 for a one bedroom to a $2,075 two bedroom. Apartments in this building are about 4% more expensive than the Downey average. This is a cat-friendly apartment. Sycamore Pines 10025-45 Imperial Hwy Apartments is a 17 minute walk from the Metro Green Line (803) at the Norwalk Station stop. This apartment is in Downey. Nearby parks include Byron Zinn Park, Westside Park and Independence Park. 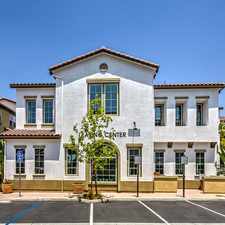 Sycamore Pines 10025-45 Imperial Hwy Apartments has a Walk Score of 48 out of 100. This location is a Car-Dependent neighborhood so most errands require a car. Our community is conveniently located just minutes away from various Downey Landing, the Stonewood Mall as well as the Lakewood Mall!! Cerritos Community College is a short distance. We are blocks from the Metro and offer easy access to the 105 & 605 freeways. Explore how far you can travel by car, bus, bike and foot from Sycamore Pines 10025-45 Imperial Hwy Apartments. Sycamore Pines 10025-45 Imperial Hwy Apartments is in the city of Downey, CA. Downey has an average Walk Score of 59 and has 111,772 residents.